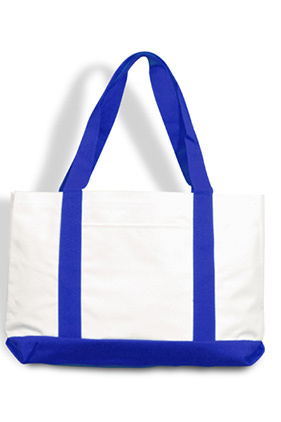 600 denier deluxe polyester tote with bottom gusset. Outside slip pocket. Self-fabric contrasting color handles and bottom. Approximate imprint/embroidery area: 5 1/4"W x 5 1/2"H.